Our services are as broadly targeted as they are uniquely tailored. Although our service range is comprehensive – covering the general, restorative and complex cosmetic aspects of dentistry – we personalise every service to the individual. Whether you are visiting for a routine cleaning or an extensive amount of treatment, we want to make sure that you receive the best care in a safe, comfortable, relaxed environment. 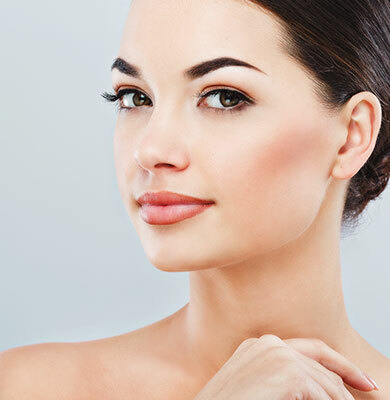 This reinforces our customer service belief: That you receive treatment that is customised to your individual needs, delivered by trained practitioners in a caring and professional environment. 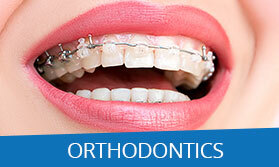 We invite you to take advantage of our one-stop dental services. In the same way that our customers have come to appreciate the high level of service that is unique to Byways Dental Practice, we hope that you will enjoy our services and experience the difference! It doesn’t matter what dental problem you’re suffering from, whether a toothache, gum problems, tooth sensitivity, crooked teeth, missing teeth, spaces or issues with your smile, we can offer a detailed treatment plan tailored to your needs and budget. At our Dental Practice in Checkendon, you can get in touch with any issue big or small. 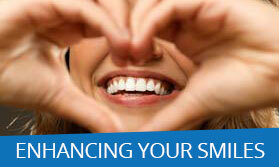 Looking for a dental practice which takes care of all your treatment needs? Byways are accepting new patients. 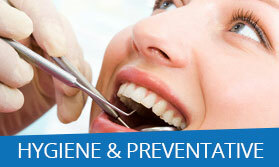 Here at Byways Dental Practice, we believe prevention is key to setting your child up for a lifetime of healthy teeth. 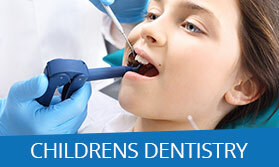 Looking for the perfect dentist for your child? The prospect of root canal treatment is a daunting one, but I can only say the care and attention given to me by Pavan was second to none. I would just like to say how pleased I am with the dental treatment I have received recently. The course of treatment was “virtually painless” which was remarkable and the “final look” of the upper 4 front teeth is very good indeed. 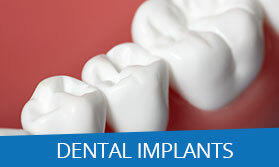 Before joining the Byways Dental Practice I had a root canal treatment at my previous dental practice. Unfortunately, it was not done properly and I was left in considerable pain. Fortunately, I changed dentists and Dr. Pavan Gogna has now performed root canal treatment correctly and for the first time in a very long time, I am now pain-free. Many thanks to him and all the staff at Byways Dental Practice. Outstanding Service: I have become a recent patient at Byways dental practice and straight away I was impressed with the high standards of service the minute I walked through the door. The reception staff are welcoming and cheerful and put me at ease whilst waiting for my appointment and show a genuine interest when I am talking about how nervous I am. 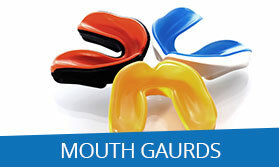 Dr. Gogna is my dentist and is patient with me with his kind and professional approach. When I broke my front tooth clean in half in an accident at work, his excellent dentistry was clear to see with no one suspecting my front tooth was any different from what was my real one. I recently needed an urgent root canal treatment, where I had a long-standing infection under a crown which my previous dental practice had not spotted. Pav did a fabulous job of carrying out the root canal without damaging the original crown. Very professional whilst managing to keep me relaxed throughout treatment, including step by step information on what he was doing which was very reassuring. Great practice and team – so friendly and helpful with lots of great advice…..modern and comfy environment too. A happy place. 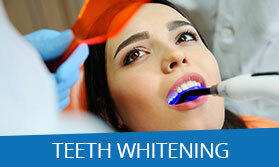 Lovely dentists, so good with kids and with your best interests at heart. I’ve been a patient here for most of my life and as someone who is a bit ‘phobic’ that’s a recommendation in itself. The new owners make you feel very comfortable. 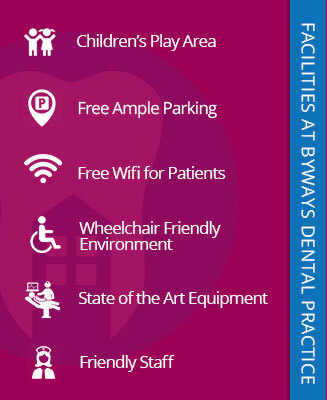 A very pleasant first visit to Byways, which is set in lovely surroundings with friendly, helpful and reassuring staff – especially Anisa the hygienist and of course, as usual, Pavan – an excellent communicator. No one should ever be afraid of going to the dentist. Having toothache is never good. Pavan and Amita looked after me from start to finish. 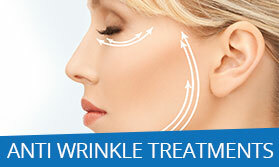 The way they both worked with the customer was calming, informative and extremely helpful. Friendly people, great staff and they do amazing work. Highly recommend Byways.